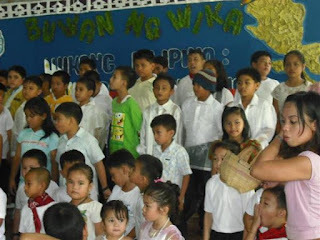 Last week my two pamangkins were so busy about their Lingo ng Wika celebration. My neice who is in Grade 1 has a new dress. 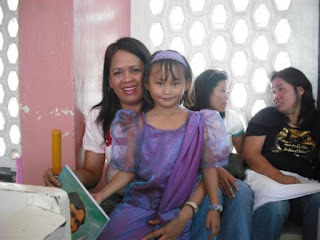 Her Mamay spend money for her dress that day. 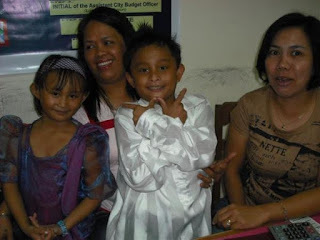 And my one and only nephew just borrowed his barong tagalog to my Aunt who is a dressmaker. His black pants I guess is a little bit small but I don't know how they make it that he was able to fit with it hmmm! When an event like this I dream that I was there with them. 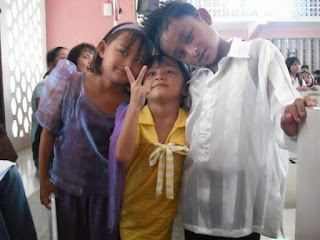 I love them much that I like to be a stage mother hehehe! 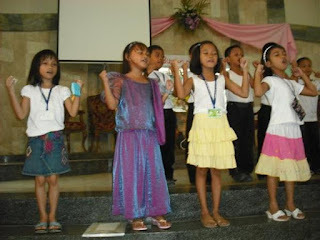 I asked my oldest niece if what my nephew did after the school programs she told me that they sell "kakanin" inside the school. And my niece show the pictures of the kakanin to me I was drooling. I won't exchange to any cake here to the kakanin in Pinas still they are the number one merienda for me. Here are some of the pictures. Hi Ging thanks for the tag so sorry it takes me for awhile to respond here. 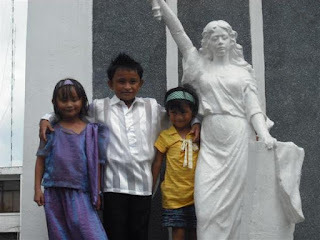 I missed my pamangkins so this blog is to make me look at their picture and right about them.